द 100 (टीवी धारावाहिक) Moments In a Story That Make आप Want to Scream! This is for those moments in an episode when something the characters either do, or the story itself goes off the rails a bit and you just want to pull your hair out! 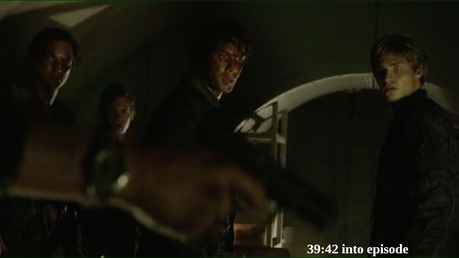 In Season 2, Episode 3, Fin, Bellamy and others are in the fall out shelter interrogating a grounder. In the end there is an argument and Fin ends it by shooting the grounder in the head, and then says something to the effect "Let's go" and they all proceed to leave the underground bunker. Season 3..Clarke and Lexa share a moment but this is the woman who sentenced Finn to death by fire and 1000 cuts that forces Clarke to kill Finn when the hidden knife was for Lexa. Remember Clarke professed her love to Finn. When the gang comes to fetch Raven in the science bunker and she allows them to hug her. With radiation-soaked suits. Which touch her bare skin. You know better than that, Reyes!